Also visit our video page for more set up information and guides. The unique design of the stand adapts to the surface.When the stand does not touch the floor with all four bushes (rough floor, displacement during transport) there is an easy way to set the stand properly. Simply push the front bumper (the tube with wheel stand pro logo) downwards in the place it does not touch the ground and then push the central column in the opposite direction Important for stability. The rubber bushes should be placed at the egdes of the tube base. These anti-sliding bushes are made of special rubber compound used mainly in the aircraft industry. This will prevent the stand from leaving marks on the floor. The tube with wheel stand pro sign functions as a bumper and this prevents the pedals from moving forwards. Remember that the pedals should always lean against the bumper. 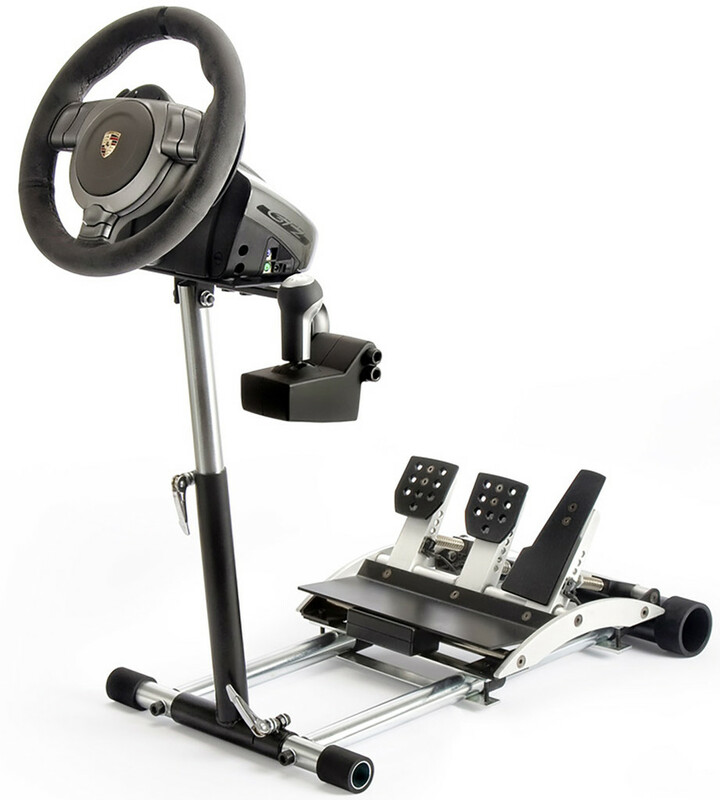 The distance between the pedals and the bumper is adjustable. Fasten the cables using the bands. (See picture above). The gear shifter module is shaped in such a way that the lower part of the gearbox housing is on the same level. This prevents the user from hitting his knees against the gear shifter module. Unscrew the bolt in the gear shifter module G25/G27 down to the max. Then the gear shifter module will not make a noise while playing. Hide excess cables in the front bumper. The pedals mounting bar has an asymmetrically constructed hole. 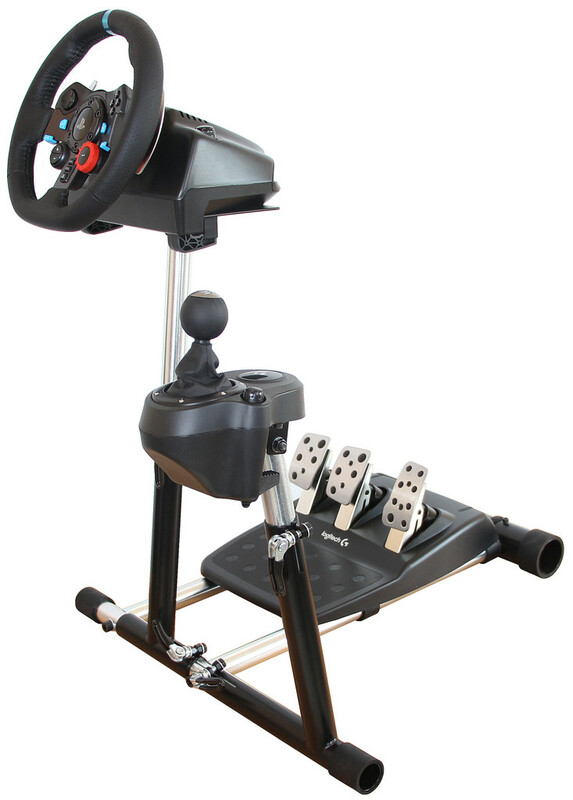 When you fold the stand completely (the central column should be between the accelerator and the brake pedal), then the pedals will not slide from the stand when you lean it against the wall. 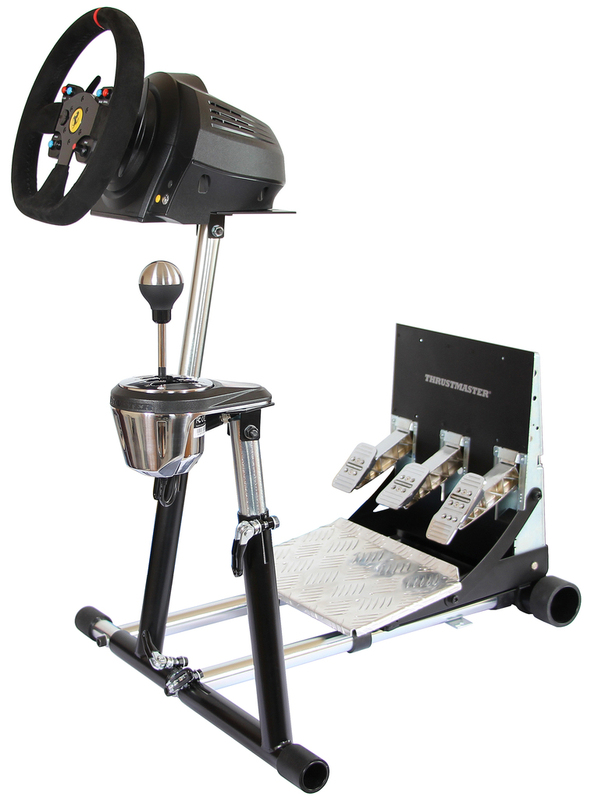 Do not drive the bolt too firmly because it can damage the pedals.You can place AC between the pedals and the pedals mounting bar. From time to time put some oil into the quick realase. It will close lighter and more smoothly. Be careful not to allow the oil to get betweeen the tubes because the central column will not be fixed enough to work properly. The lower bar that fixes the pedals (Logitech DF, DFP, DFGT, EX, FX, and Thrustmaster F430) has to touch the rubber bushes. It prevents the bars from sliding down from the pedals when you lean the stand against the wall. 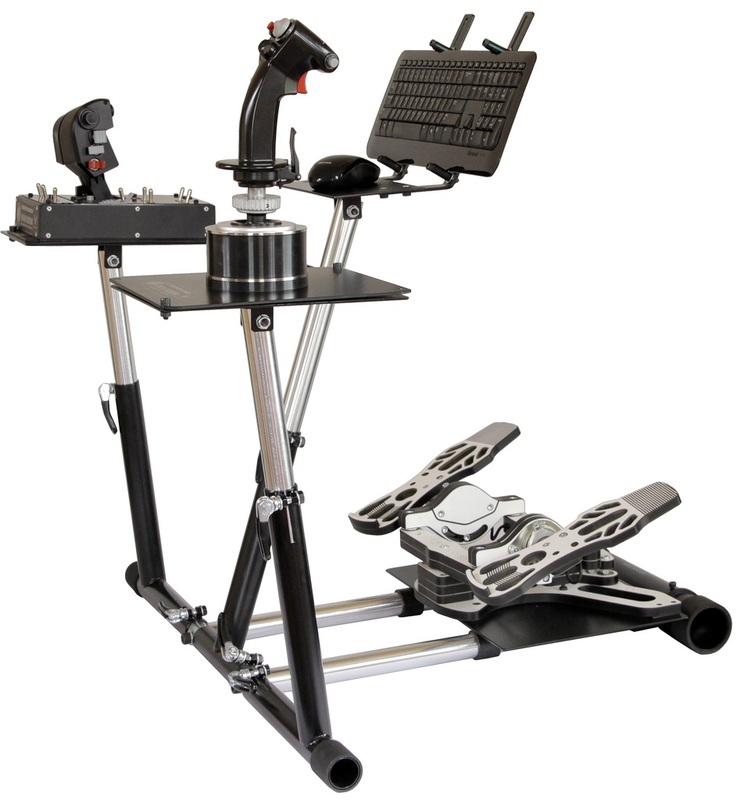 The bars that fix Logitech pedals (DF, DFP, DFGT, EX, FX, and Thrustmaster F430) should be close to the pedals(see picture below), then your feet will not touch the pedals mounting bars.